* Open Monday-Friday, 7:30 a.m. - 5:30 p.m.
* I offer part-time, full-time, & drop-in care. *Plenty of choice play both indoors and out. *Small program for quality one-on-one care. I am certified in CPR, AED, SIDS, & First Aid! I have a medical background with experience in special needs. Please contact me for safe and wonderful care! I am a licensed child care professional with openings for 2 and up. I am also available to be an occasional nanny. Being a military family, the stress of a move is only doubled when you need to find child care on top of it in a high demand area! We were LUCKY that Small Treasures had a spot open. We knew right away that this was the place for our little guy, professional staff, clean work place, and an environment that fosters educationally developing our little one. I'm always amazed at the new things our son learns and brings home, to include the art work that he's always so proud to show us. The fact that my mama's boy goes willingly from my arms to the staffs says a lot. Definitely recommended! When we toured Small Treasures Child Care we were pleasantly surprised to find such a gem of a place. Marian was very professional during the interview, and really made us feel at ease. We chose her center right away! Thank goodness we were able to get a spot! It's so hard to find good quality child care. Definitely recommend Marian and her staff!! Marian and her staff are great with our daughter. So many fun and educational activities to keep the kids busy. My daughter looks forward to going to daycare everyday and see her friends. All the staff are very professional and you can tell they have a passion for what they do. Such as sweetheart! Takes care of th kiddos like they are her own! My son has a lot of special needs which can be very detrimental to his health if handled wrong. Not only did she face it head on and not even flinch, but I literally trust her with my son's life! We love Marian and her staff. My son has been coming to Marian since he was 3 months old. (He is now almost 2). Since the beginning I felt as though she treated my son like one ofher own. Always a warm hug and a smile. She really does provide a loving environment. My son is happy there and so are we. Marian & her staff are the best. They are professional & communication is great. Very clean & good structure. I can tell my little one loves them & as a mother it makes me feel good to know that she is in good hands. Aww. Thank you so much!! We LOVE Small Treasures! Marian and her wonderful team make us feel like our little guy is being cared for by family! We receive regular updates on his progress and great communication from them. We're very thankful to have found such a great provider! HIGHLY RECOMMENDED! The best daycare we visited by far! Very professional. She is quick to make your child feel at ease. My child was in great hands. We found Marian after pcsing here to Maryland. She caters to military families and really customized our baby's care plan. She was more than willing to accommodate our long hours. She has a wonderful brightly colored space. I highly recommend her to everyone I know!!! Excellent provider and excellent service! My kids love it at her house! Extremely reliable and flexible. I'll gladly pay her rates, you get what you pay for!! Excellent daycare!!! I am so glad to be able to say I have found a quality daycare in my area that goes above and beyond my expectations. My children love coming here and I even love that our girls go to the same gymnastics place!!!! Thank you for all that you do and providing quality care to families. I hope other's give you a chance because they will be so happy! When we found out we were pregnant we looked high and low for a provider who would parent like we do. We are so glad we found Marian when we did. It took us 6 months to get a spot, but by the time he was born we got a spot!! We love that her home is under surveillance at all times. Her attention to detail about his needs is also a big plus. We plan on keeping her for any other future children we may have!! We will ttc around her available openings... That's how much we love her and her daycare!! Marian's separate daycare space is monitored 24/7 by a private camera system. I feel comfortable knowing my child is safe while at her daycare. She has wonderful staff as well. Anytime I've dropped in for my baby its always as it should be. Call her... You won't regret it!! I have never had any of these women leaving bad reviews come to my home. I've contacted care.com and they cannot help me... Please call me and I will give you excellent reviews... To the person doing this... I know who you are. Call me so we can chat. Why are you doing this?? We chose her program for the flexibility she offered and the value for our money. After 3 months on her wait list we finally got a spot!! Awesome provider!! Clearly, there are a few providers out there who are upset that I have a wonderful program. My daycare space is in a separate part of my home. We teach the kiddos, and we have a lot of fun doing it!! If you'd like to make an appointment please contact me. I have past and present 5 star reviews. POORLY RUNNED WAS NOT IMPRESSED!!!!!!! TO MANY ANIMALS..
Marian goes above and beyond to provide quality childcare at an affordable price. She offers a lot more than any daycare we interviewed. Marian also offers a clean loving environment. You will not be disappointed you chose her for your provider!! We highly recommend her!! Don't believe the false negative reviews.... It's just someone trying to do be her harm! Schedule an interview and see for yourself!! Iam so glad I found Marian...You can't find daycare that will watch toddlers every weekend Saturday and Sundays.. She's been great.. When ever I need her she's there for me.. I drive half hour past my work just for her to watch My daughter. .You can't find daycare provided who does weekends, provide what she provides, clean environment and her rates are great.. My daughter loves coming to her house. I would definitely recommend her..
Marrian is just the most perfect daycare we have ever found. I had two providers before we found Marian, and she was a life saver. My husband and I are both active duty, and trying to find a provider that was as flexible and caring as she was proved to be very difficult. She welcomed our infant son with open arms. I know that some people think she may be higher priced than some other providers, but when you think about it.... Would you trust your most precious child with some discount service? She worked with our finances, and our hours. She is just amazing with our son and we will gladly keep her until it's time to move to kindergarten. It is extremely hard to find good infant care that doesn't cost a fortune. When we found Marian we knew we found the provider for our family. She is very knowledgeable about children, and put my mind at ease during the interview process. She truly offers a safe and warm environment. We were on her wait list for over 8 months before a space opened up for us. Thank goodness we started looking while I was pregnant! If you're looking for excellent care....look no further!! Marian has cared for my son for over two years now. I know he is safe, and she really works with the kids. She goes above and beyond to make sure the kids are having fun and learning. She keeps me informed on anything I need to know. A+ child care provider! Marian is awesome & always goes above & beyond! I'm so impressed with the level of attention each child receives and the information she provides to the parents. Marian has always treated my three children as her own since we started almost 2 years a go. She works with you and keeps you informed of everything that goes on so you can make sure the home environment and daycare environment are similar. Any concerns are addressed as soon as possible so everyone is on the same page. When we found her we were extremely lucky. My whole family loves her and would definitely recommend her to anyone. By far the best provider out there! Contact her today, you won't regret it! I love Marian! She treated my grandson like her own. She was my provider for over a year, and if I ever need care for him again I will call her. She went above and beyond her job to care for him. We did all of our homework when looking for the right provider for us. 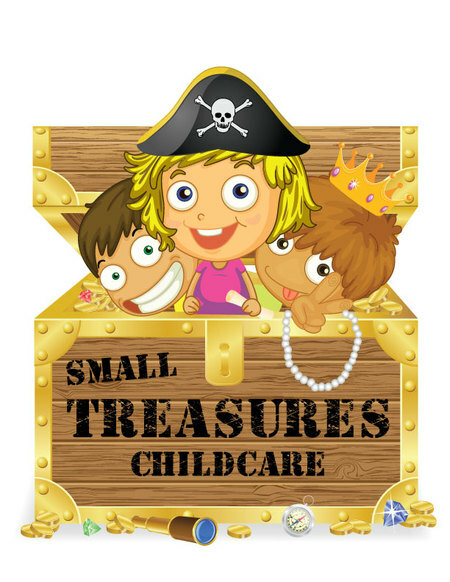 Not one other center or home came close to Small Treasures Child Care. If you're looking for a home provider with the qualities of a center, look no further! You will not regret it! I trust the owner/director and staff with my child, and I know he is safe!